Have you ever needed to attend a religious ceremony for a friend or family member and felt a little out of place? That is the whole point of this section on religious service etiquette. This information will have you prepared for those events so that you do not feel so awkward. We have experienced this in our own lives several times. One time, we were invited to attend the wedding of some friends that were of another faith. Their wedding ceremony was much different than what we were accustomed to. We know that the same thing happens to others when they are invited to attend ceremonies for others. That is the whole point of why we wanted to cover ceremony etiquette and give you all information on how they work. 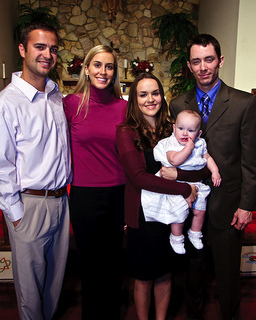 Do you have a friend or family member that is going to be baptized soon? This section on baptism etiquette is very helpful. We will help you identify what will be happening, how you should act, what kinds of gifts are appropriate and more. You will be prepared for that important event. Are you going to be attending a religious worship service like mass? We can help you out by providing you with information on mass etiquette. We do not want you to feel out of place in a church or any other kind of religious setting. If you are joining your church choir, following church choir etiquette will help you know what to do to unify your voice with others to worship. Another part of religious service etiquette would incorporate christening etiquette. If you have been invited to attend a christening for someone, we can explain to you what is going to happen and what you should be prepared for during the event. Ultimately, the whole point of these sections of etiquette are about doing the right thing to make people feel good about having invited you and that you were there for that special day. And that is the main thought about etiquette and manners where religion is concerned. It is not about what you think and believe. It has to do with respecting others and being gracious enough to thank them for the invitation. Even if you do not agree with their beliefs or the occasion, at least you were important enough for them to invite.